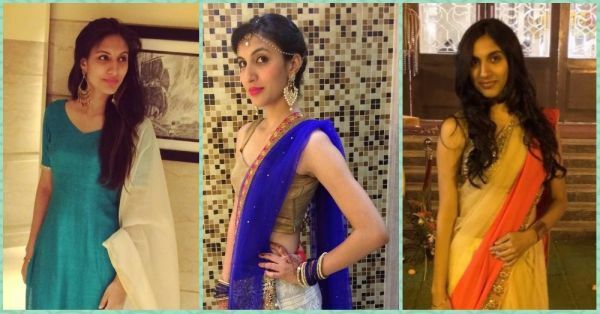 How I Styled 5 Amazing Looks For My #BhaiKiShaadi! The very first function was the roka ceremony. Since it was a day function and was only attended by family and very close relatives, I opted for a simple looking suit. It was a very pretty blue silk kurta teamed with an off white churidar and a matching dupatta. I wore statement earrings with the outfit to balance out my look. I kept my makeup minimal and since I have naturally straight hair, I just blow-dried them at home. And tadaaa! The next ceremony was the sagan, which took place just a day before the wedding. Now obviously, I didn’t want to spoil the thrill of wearing a lehenga on the wedding day, so I opted for the next best option - a saree. Interestingly, I did not buy this saree readymade. I bought the fabrics, the motifs and the border and got it stitched by my trusted tailor bhaiya (that is a story for another day). Okay, go getting back to my makeup. Since my hair was already curled and done up, I decided to go for a monochrome look- light peachy lipstick, golden and peach blush and classic black liner and done! I did not want it to go OTT on the day before the wedding, so yeah! Okay, so it was finally the wedding day and I was even more excited than my brother and his bride-to-be, REALLY! 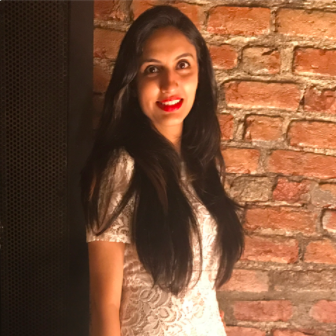 It was the day I was going to wear my pristine white lehenga. I got it from this huge Indian wear showroom in Chandni Chowk (Surya Sarees) and to say I loved it will be an understatement. Both my makeup and hair were done by a stylist and I did not hold back. I got a pretty side bun made and my makeup matched my lehenga perfectly. A dark pink lippy, heavily done up eyes and glowy pink cheeks is the look I went for. About my jewellery, I bought matching kundan earrings and a maangtika. I also wore bangles that matched my dupatta to complete the look. The next day was the reception, which was again a personal event, only attended by close friends and family. 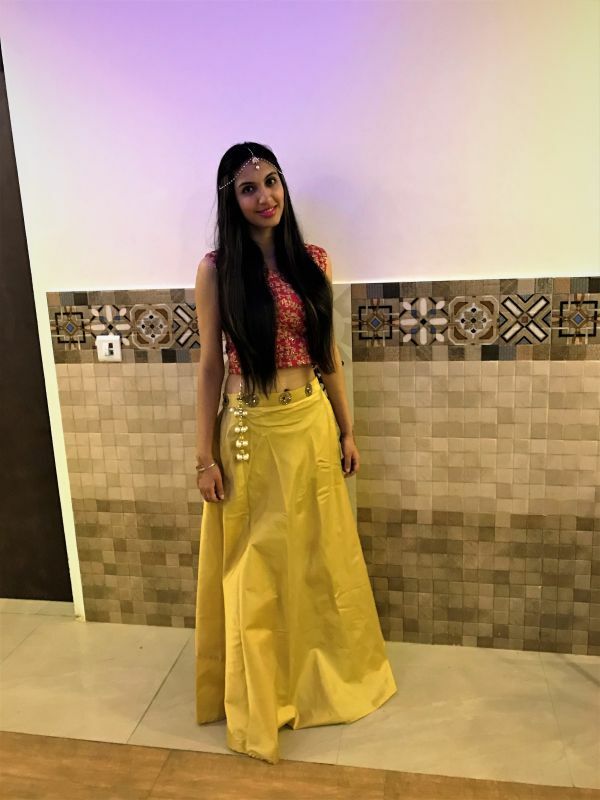 Since I had already used up all my dress options including a saree, lehenga and suit, I went for a cute crop top and skirt for the event. It was a very pretty pink and golden combination. 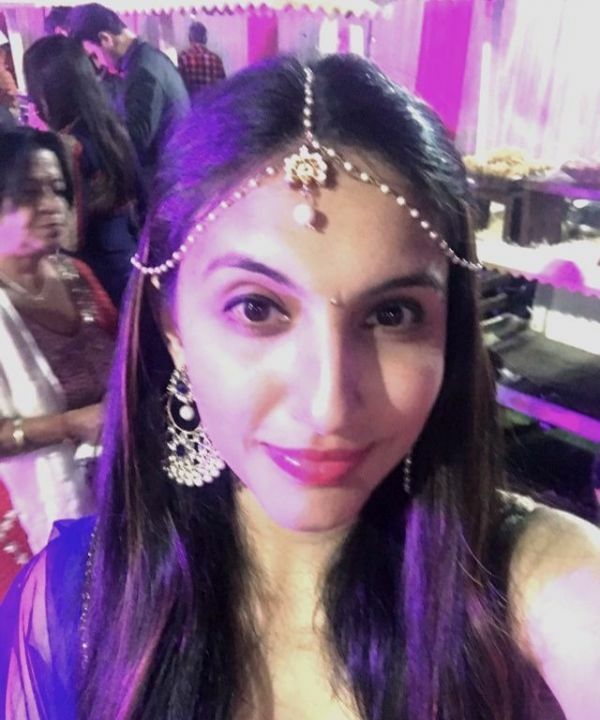 I kept my hair open and just accessorized with the same maangtika that I had worn with my lehenga. I did not wear any earrings with it because I wanted a traditional yet chic look. I went with the no-makeup look, with only a bit of eyeliner and a dark pink lipstick. Now, this is not a picture from the same wedding, but another one that took place a few days later. I wore the same white lehenga here too but styled it very, very differently. It was my second cousin’s wedding and I did not want to go OTT with my outfit. So, I just wore it simply, without any fancy dupatta draping. I kept my hair open and tried the same hairstyle from the reception look. I did not wear any bangles this time but opted for a different pair of kundan earrings and kept my makeup really light. And to everybody’s surprise, this look turned out to be prettier than the previous one.